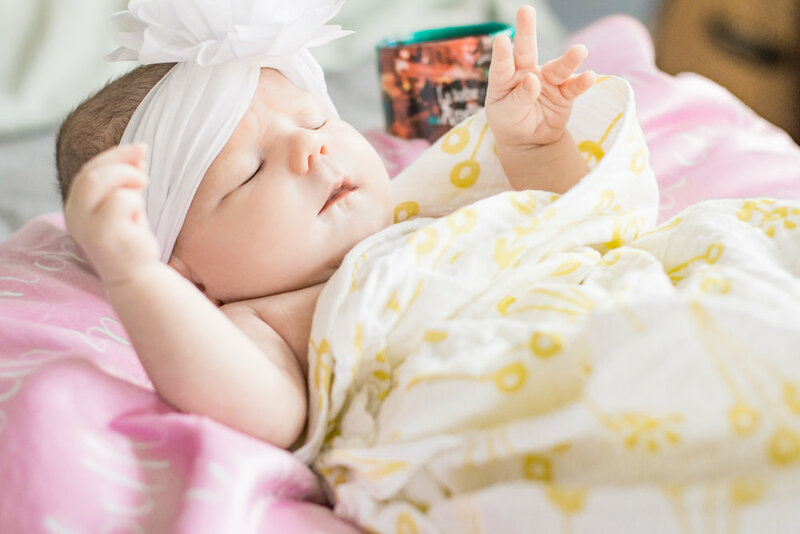 Newborn Lifestyle Shoot in Kirkwood | Atlanta, GA — Coco & Co. I absolutely love the neighborhood that my husband and I moved to last July. It is full of the most passionate, wonderful people, and I've had such a great time getting to know a few families through my photography business. Rebecca reached out for some newborn photos of her sweet Amelie. 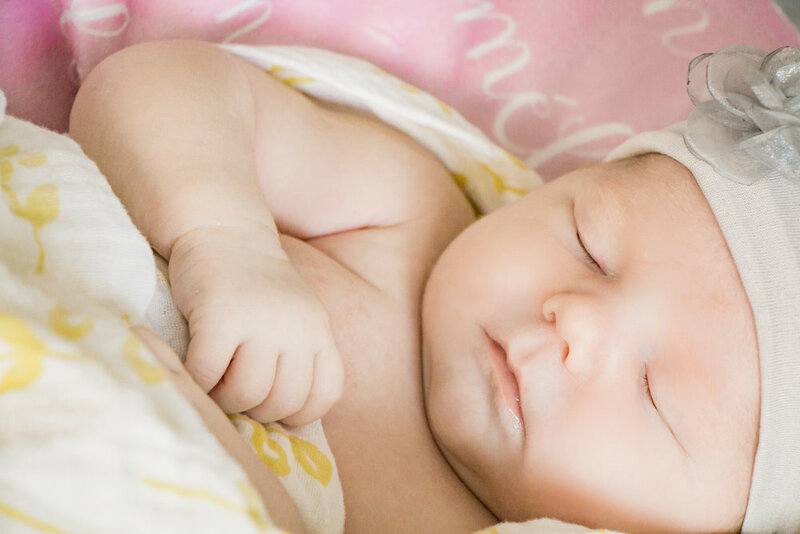 I'm not great with the studio-style, posed newborn photos that so many photographers have perfected, so I let her know this would be more of a natural, lifestyle photoshoot in her home, and she was on board for it! Their room had such pretty, bright windows so it was the perfect location for this beautiful family. And of course, their first baby, Riley the pug had to get in on the fun!